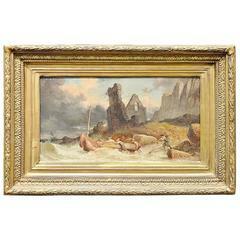 William Lionel Wyllie has been referred to as "Britain's premier marine painter of the later victorian and early 20th century". 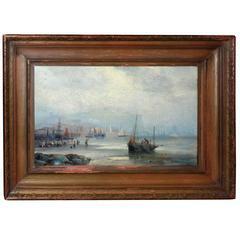 "Off Southend" is a very subtle toned blue and grey oil painting showing a single sail ship upon choppy waters. In the background there is also a boat with one sail unfurled. 10' 16' unframed. 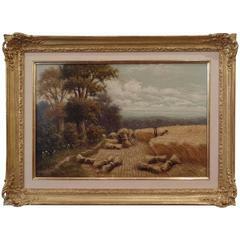 H. Livens Oil Painting "Harvesting on a Summer's Day"
Pushing off to sea with ruins of house in background oil on canvas signed lower right, 1876. Tron town restretched and relined. Measures: 23 3/4&quot; x 35 1/2&quot;. 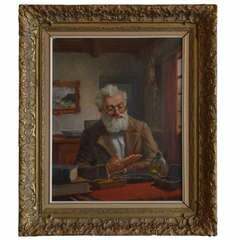 Oil painting on linen canvas, "The Jeweller" signed B. Bouwer. Dutch painter, born in 1901 in Rotterdam. 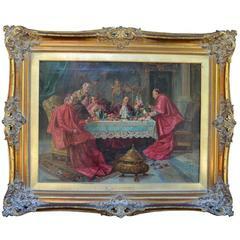 This oil painting is 19th century and features cardinals dining together in an animated setting. 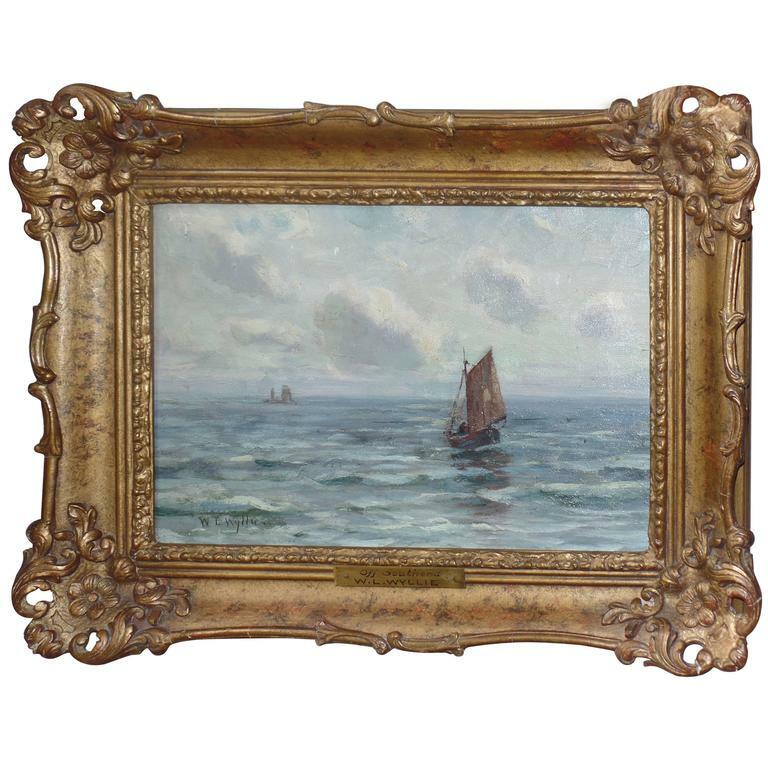 It is presented in a gilt, ornate frame. Fantastic oil painting on canvas, from the 1960s, beautifully painted in the manner of J. Pollock . 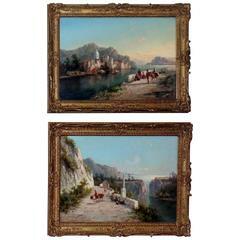 Signed bottom right by: Ceruzzi. 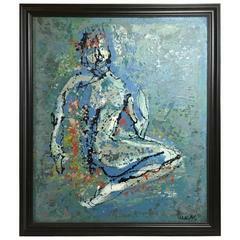 Impressionistic oil on canvas painting signed L Cara. Children playing at the shore. 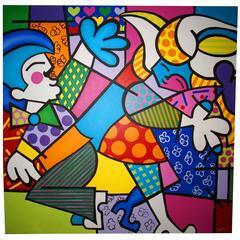 Unframed H 11", W 15". Oil on canvas abstract painting signed: Cheifetz.